Physicist Stephen Hawking died yesterday at age 76. As a science geek, I was awed by his amazing intellect and ability to explain difficult science clearly. 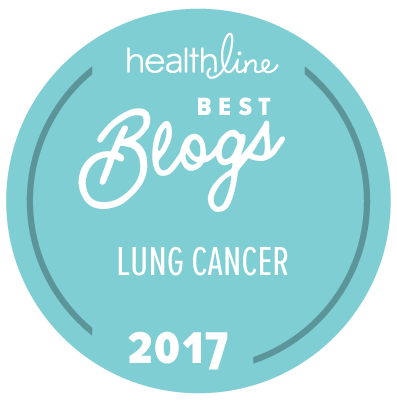 As a metastatic cancer patient, I admired how he made the most of life despite a crippling health condition and grim prognosis. Below is reprint of a Facebook post (with permission) by feisty science fiction author Pat Cadigan, a friend and ovarian cancer patient. She also knows about making the most of life. I never met Stephen Hawking, exactly. One day, I was in Covent Garden and as I walked along a sidewalk, two carers were getting him out of a specially-equipped van. I felt it would be inappropriate to stop and gush—the carers were in the act and I would have been interrupting. So I kept going—but I gave him a great big I-know-who-you-are-and-I-think-you’re-great smile. I like to think I saw a twinkle in his eye. I smiled at the carers, too, and they smiled back at me. When Stephen Hawking was diagnosed with motor neurone disease, he was given two years to live. He spun those two years into nearly half a century. This is practically unheard-of for people with motor neurone disease—it is a terrible, merciless condition that, at the time Hawking developed it, was not even as treatable as cancer. 76 is still too young an age to leave the building; I really hoped he would stay longer. But while he was here, he made it count, even though he was unable to move, and then unable to speak for most of his life. His mind was lively, energetic, indomitable. He defied his circumstances and his prognosis. Hell, he even left his wife for his nurse—probably not his finest hour, but the heart wants what it wants, even when it’s confined to a wheelchair, unable to speak. Most of us never achieve Hawking’s level of intellectual brilliance. But we can all try to ‘defy our prognosis,’ so to speak. We can confound expectations. We can make every moment count. We don’t have to accept what we’re told to accept. We don’t have to settle. Maybe we won’t succeed in defying our prognosis, so to speak. But if we don’t try, we’ll never know. You don’t have to lie down quietly. Even if you’re paralysed, you can go down swinging.